At House of Bread Bakery Cafe, we take our time to produce the best tasting products, using all-natural ingredients, just like Grandma used to. Our products taste better, and are better for you, than those mass-produced breads purchased from the grocery store. We only use wholesome, all-natural, high quality ingredients and natural processes. 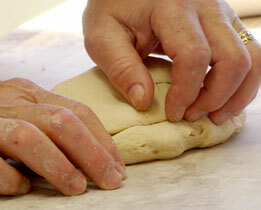 All our products are hand-made like Grandma used to do, making each loaf extra special and high quality. We use fresh wheat and white flours that are milled utilizing all-natural processes. The natural steel cut milling process provides minimal heat gain, which guarantees more nutrients are included in the final ingredient, making the bread more wholesome and flavorful. House of Bread Bakery Cafe uses pure honey as a sweetener and a natural preservative. Honey acts as a natural antioxidant and can be easily digested by your body. We never use unnatural preservatives, such as high fructose corn syrup, like the grocery store breads. 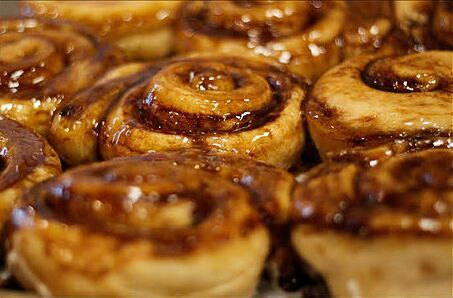 All our products including cinnamon rolls, pastries, and breads are naturally fat-free. House of Bread Bakery Cafe products are produced without fat. When fat is used, it comes from natural sources, such as eggs, olive oil, canola oil or real, unsalted butter.